Dr. Haruhisa Ishida introduced UNIX computing and the concept of internetworking to Japan. He served as the first Chair, and one of the founders, of ISOC’s Japan Chapter (ISOC-JP). At the early stages of the Internet, mainframe-derived network technologies like SNA and OSI were the standards, but Dr. Ishida promoted TCP/IP technologies aggressively. 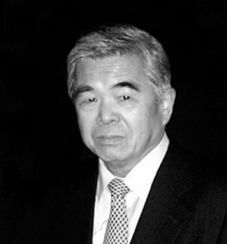 He also played an important role in Internet security in his country and served, in 2001, as the inaugural chairman of the Japan Network Security Association. He was a Professor in the Graduate School of Information Science and Technology at the University of Tokyo from 1982 to 1997 and was the author and translator of numerous textbooks in the field of computer science. He also was a board member of the Japan Network Information Centre (JPNIC), served on the ISOC Board of Trustees from 1993 to 1998 and participated actively in the INET forums that brought together world leaders in Internet technologies and policies. Dr. Ishida earned his PhD from Iowa State University in 1964. He died on March 9, 2009.